The Colonial folding knife was created by Medford Knife & Tool as an adventuring companion to be taken across the great American landscape and beyond. 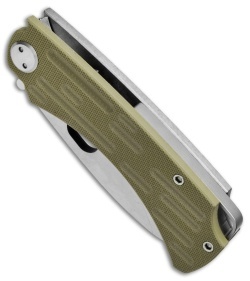 Built with utility and practical toughness in mind, this folder won't shy away from hard use. 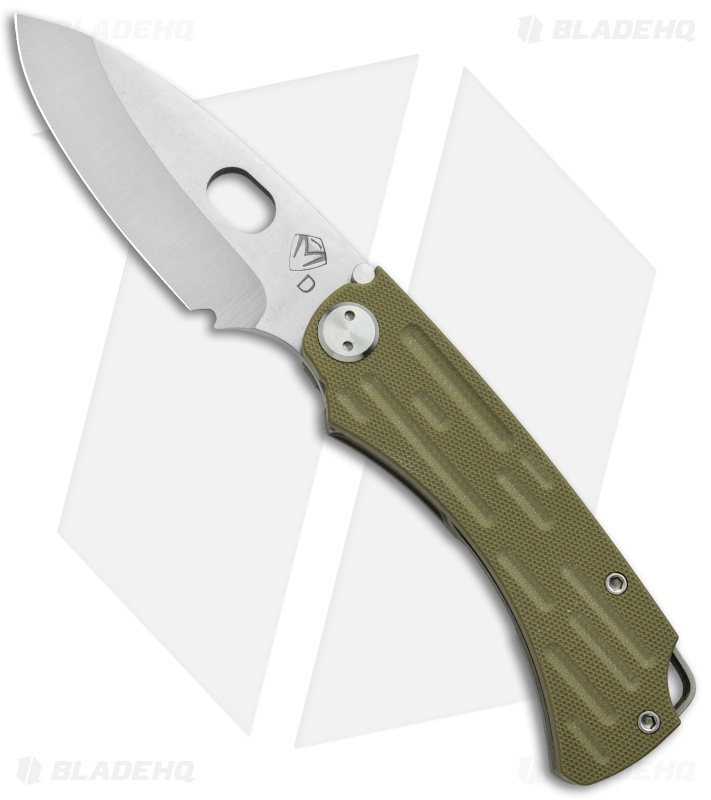 This Colonial knife features an OD Green G-10 handle, tumbled titanium frame lock, and a stonewashed D2 tool steel blade. 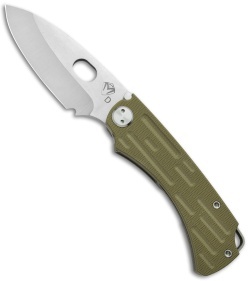 Wear resistant D2 tool steel blade for exceptional edge retention. Grooved G-10 handle scale provides an unyielding grip. 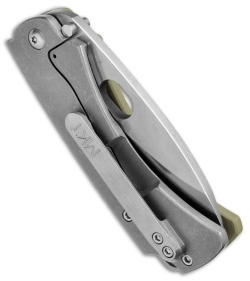 Machined titanium pocket clip for secure, comfortable carry.